At StaySafe™, we understand the needs and requirements of our distributors. Our highest priority is to enable our distributors to efficiently and effectively enter their market and gain market share. However, before importation can begin, some countries require supplier and/or product registration. Our experienced registration department is able to provide all the documentation and certifications needed to assure registration is completed in a short time. Our highly experienced team understands the requirements and standards of Ministries of Health across the globe, and so is able to handle all matters relating to registering our products. We provide the necessary documentation, including but not limited to CE, ISO, USFDA and other quality certifications, Manufacturing License, Free Sale Certificate, analytical and technical data, and other documentation to efficiently complete the registration process. Our distributors rely on our registration department throughout the registration process for comprehensive support until the importation of our products can begin. Providing all required documents and dossiers until registration completion. Welcoming any official visits and inspections to ensure all standards are met. Providing samples which are in accordance with the requirements of the importing country. Transparency and clear expectations are key before starting the process, and so all terms and conditions are simply defined between StaySafe™ and the distributor, which are approved and agreed upon. Factory inspections are required by a lot of the countries MOH, and we welcome such visits, which are dealt with our experienced team to ensure all standards are met. We guarantee a close partnership, and value regulatory compliance. All necessary documents and certifications are prepared to enable the registration process. The proper registration documents are key to process the registration in as little time as possible. StaySafe™ products are made from the highest quality materials, and have been designed according to the most recent market research and analysis, which differentiate our brand from the rest. We also understand that requirements differ from client to client and country to country, and so packaging can be altered if needed. Sample testing is required by many countries, and StaySafe™ samples are produced in accordance with the registration requirements of the importing country. Along with this they are pre-tested, and examined to guarantee compliance with all standards. Registration is complete once all documents, samples, and any other required materials are submitted and approved by the importing countries MOH or appropriate health authority. StaySafe™ marketing department will contact the new distributor in order to discuss common strategies and provide the support needed to ensure a successful marketing campaign. How can I become a distributor for StaySafe™ Medical Clothing? 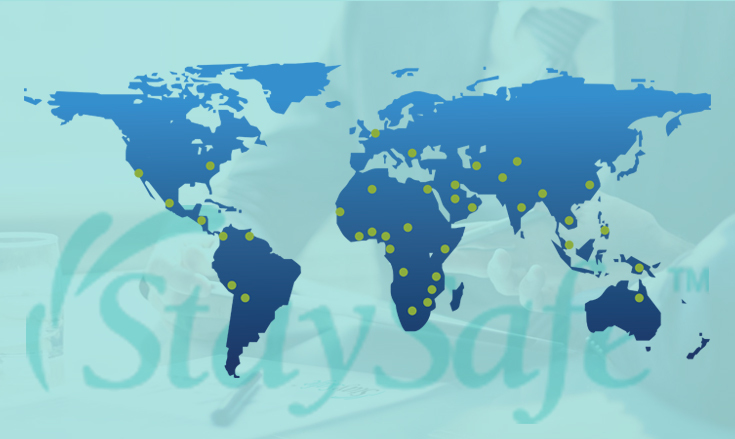 StaySafe™ believes in fostering our distributors for a mutually beneficial, long term partnership with which considerable market share can be achieved. We partner with both small and large distributors. The pre-qualification process is simple, easy to understand, and no hassle. We can tell you in as short as 3 days if your distributorship has been accepted, after which we will work closely with you to develop your market. Do I need to have experience within distributing to be a distributor for StaySafe™ Medical Clothing? No previous experience with the distribution of medical clothing or other related products is necessary to be a StaySafe™ distributor. However, previous distribution experience and/or an existing distribution are helpful to get you started. What distribution channels are most suitable for StaySafe™ Medical Clothing? Where can I Find StaySafe™ Medical Clothing? Our products are also available for distribution following contact with our sales department. For more information please contact us.